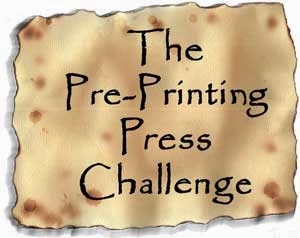 The idea of this wonderful challenge is to read books that came out before 1440, when the printing press was invented. The full rules can be found here. As for me, I'm aiming to read 10 books that count, which is totally doable, I think! Glad to see you joining in.